This spacious, modern beachfront house offers 4 bedrooms and 3 bathrooms sleeping 10 guests in total. It has its own entrance to a private beach and is only 1.5 km to the main bathing beach and shops. 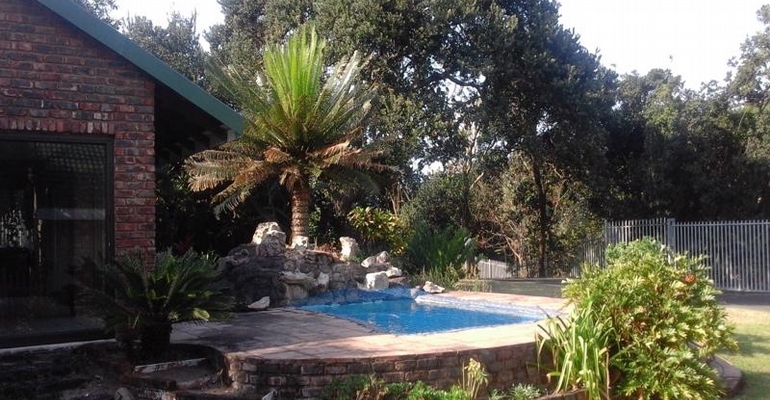 The property is pet friendly to small house trained dogs, and has an entertainment area, braai facility and splash pool. The house offers a fully equipped kitchen and a separate laundry with a dishwasher, washing machine and tumble dryer. You will have full DSTV and free WiFi at your finger tips. The main bedroom hosts a king size bed and en-suite bathroom with shower. The other bedrooms either have a double, queen or 4 single beds and share 2 additional bathrooms- 1 with a bath and shower, the other with just a shower. The property is secured with an electric fence and automated gate as well as an alarm system, offering secure open Parking.